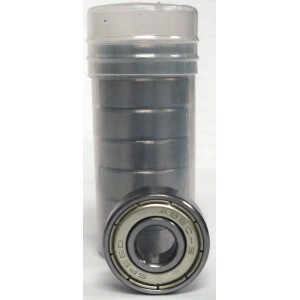 Largest selection of shapes and sizes at Cheap Manufacturer Direct prices. 100% Canadian Maple Cold Press Decks. 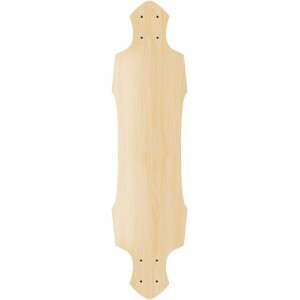 These 8 inch wide blank skateboard decks are perfect for the skateboarder that wants quality under his or her feet. Made with years of experience with quality control gives you the edge over your friends. You can buy in bulk through email for larger volume discounts and sell them to your friends for a profit. 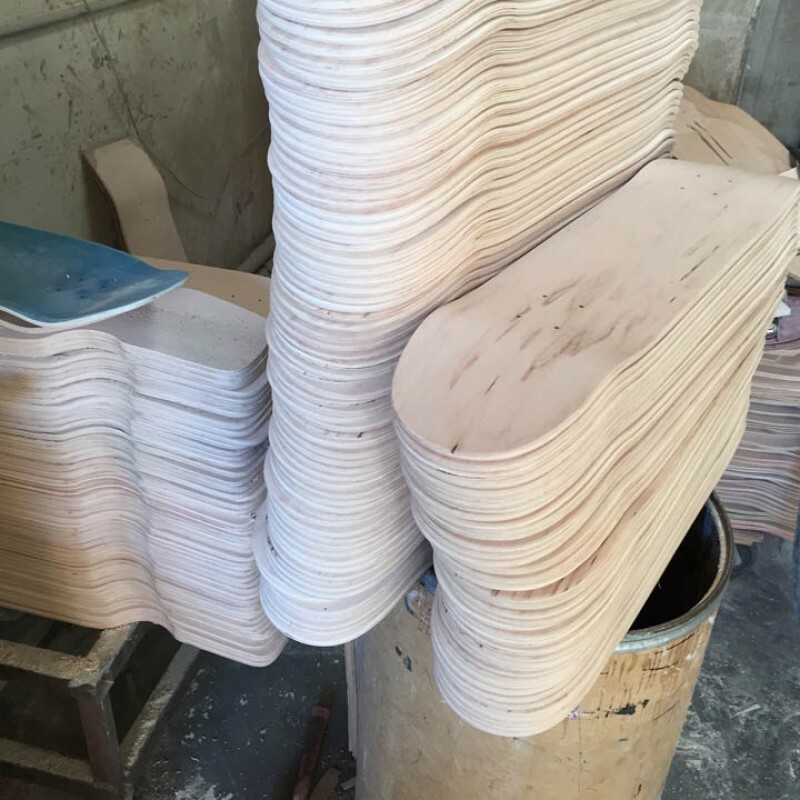 One of the most popular sizes in the market today makes up for 90 percent of the boards we cut in our factory. 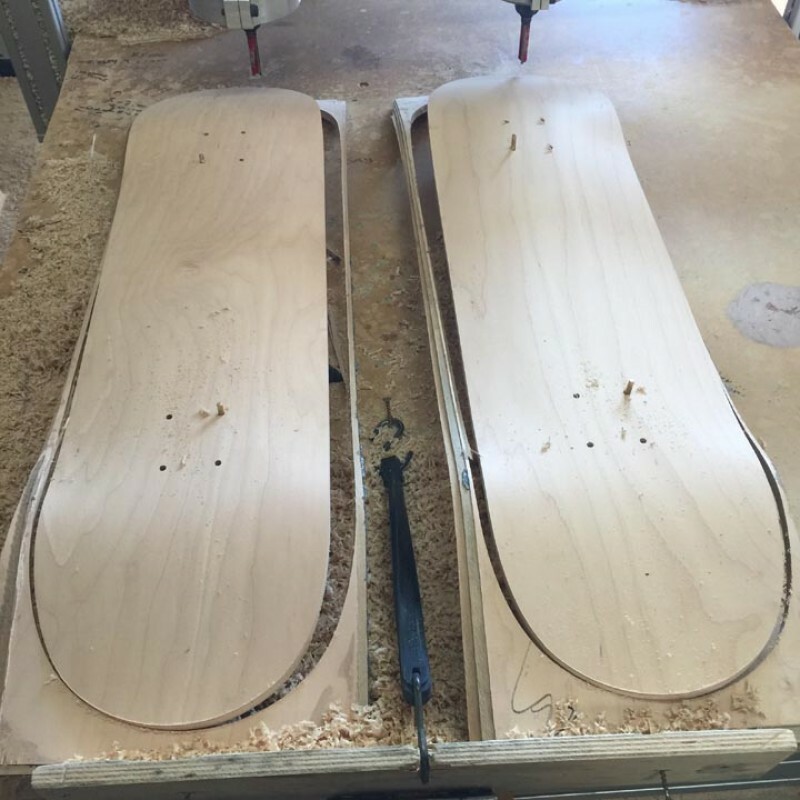 We can make a custom shape to fit your needs with a 50 deck minimum and a setup fee to make the cnc file to cut boards to your special needs. 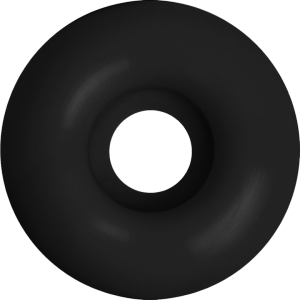 Buy our stock shape and there is no minimum requirements. 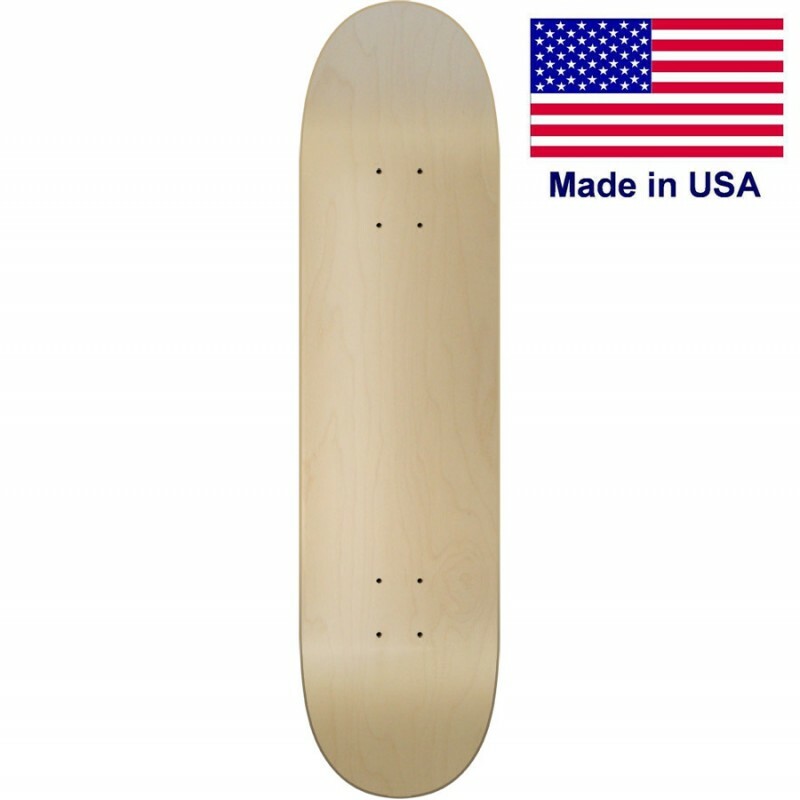 Higher quality than any online auction house these USA made decks will last longer and keep the pop going way past any imported decks. 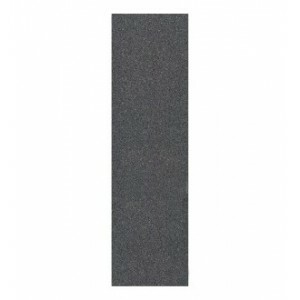 Offering medium and steep concaves to suit any type of riding skills. Online Designer This is a blank 8.0 deck. If you change your mind and want us to print your own graphic on it go check out our online designer. 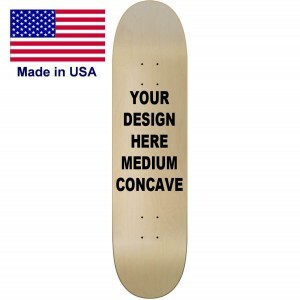 You can upload images and design your own custom printed skateboard. 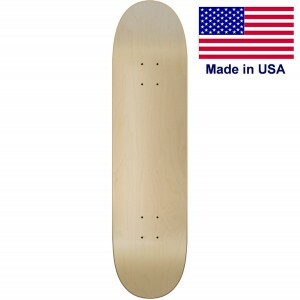 Concave Medium or Steep Concave is Available for this fast selling deck. Good strong concave built to last. Color All natural Or Stain on Top and middle ply.Note: Top and Middle Ply Option When we press decks with stain on top and middle the dust from working on the decks transfer to the bottom of the boards. 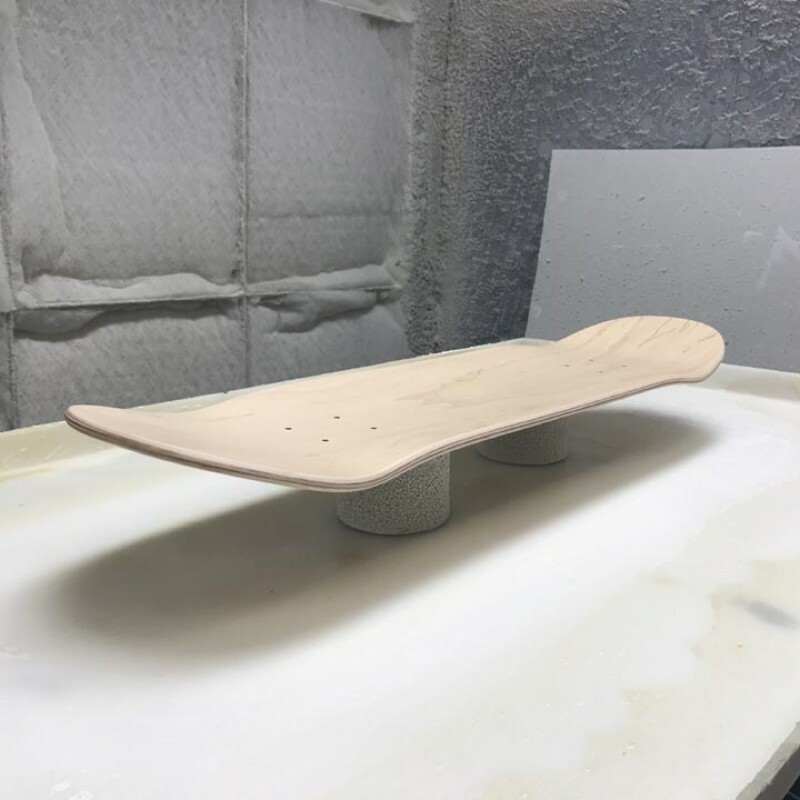 Stacking decks in the wood shop will allow stain to transfer to the bottom of the skateboards. So if you order stain top and middle expect to get some color on the bottom ply. You do not get to pick the color of the stain. 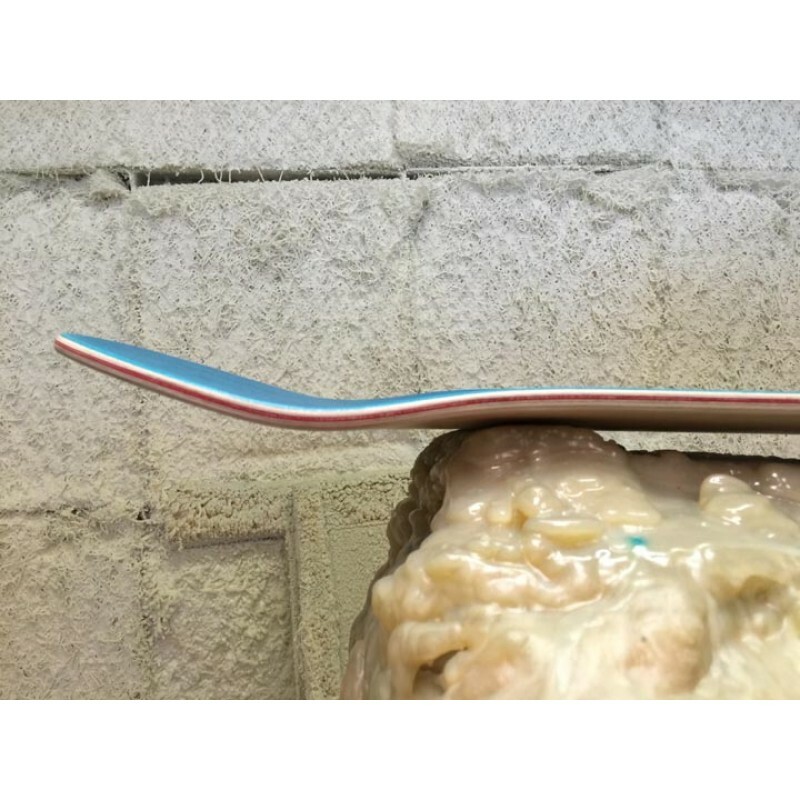 The color of the stain will be whatever we are manufacturing at the time. Cruising Yea you can cruise this but you will find a way better deck to be lazy on. 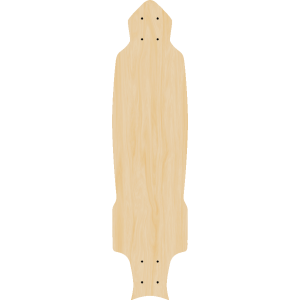 40" Long9.25" WideRocket Bomber Longboard Deck ready to ride. Make your own custom graph..